We manufacture a range of fine quality, lightweight Carbon Fibre and Silver Texalium gear knobs that can be retrofitted to most vehicles including standard road cars or racing vehicles. 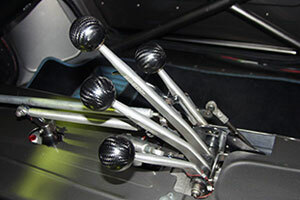 We also make gear shift knobs specifically for Lotus cars. Available with a range of different thread options, metric and imperial, our gear knobs also can be specified with Tungsten filling or unfilled. Unfilled versions are ideal if saving weight is key weighing from only 137 grams. Lacquering is an option for all gear knobs for only an extra £15.